The 2011 U.S. Chess Championship begins today at the Chess Club and Scholastic Center of Saint Louis, Mo., with 16 players, including the defending champion Gata Kamsky, the 1996 world championship challenger. The top-rated American Hikaru Nakamura, the 2004 and 2009 U.S. champion, declined to participate. There is no $64,000 Bobby Fischer Memorial prize this year for winning all the games. It was offered in 2009 to commemorate Fischer's amazing performance at the 1963/64 U.S. championship. Winning all 11 games, Fischer finished 3½ points ahead his nearest rival, Larry Evans. Other stalwarts of American chess such as Sammy Reshevsky, Robert and Donald Byrne, Pal Benko and Arthur Bisguier also took part. Nobody repeated Fischer's feat in 2009. Fischer's other two U.S. championship records will never be broken: he played in eight U.S. championships and won them all; and he is still the youngest U.S. champion, having won his first national championship in 1958 at the age of 14. Fischer has been gone for three years, but his legacy lives on. Books about his life and chess keep piling up. Extraordinary results by other players are often compared to his achievements. In January, Nakamura finished ahead of the four world's top-rated players and won the prestigious Tata Steel Chess tournament in Wijk aan Zee. His spectacular victory was immediately compared to Fischer's accomplishments. In a message to the New York Times, Garry Kasparov wrote: "I think you can go back to Pillsbury at Hastings 1895 for an American tournament victory on par with Nakamura's, " and he added: "Fischer never won a tournament ahead of the world champion. He was second in Santa Monica." Kasparov obviously meant "a reigning world champion", but it is not clear he was right. He was referring to the Second Piatigorsky Cup, played in Santa Monica in 1966 and won by Boris Spassky. The reigning world champion Tigran Petrosian shared sixth place with another American, Sammy Reshevsky. It was a double-round robin tournament or two single tournaments. In the first half Bobby scored 3½/9 and avoided the last place by a half point. In the second half Fischer produced one of his finest single tournament results. It was the only tournament in which Fischer was able to compete with a reigning world champion. He met three of them at the chess olympiads: drawing with Mikhail Tal in 1960 and with Mikhail Botvinnik in 1962; and losing to Spassky in 1970. In 1979, I organized a similar double-round robin tournament in Montreal. First, it was called the World Cup, but later it acquired other names such as "Man and his World Chess Challenge Cup" or "Tournament of Stars." With three world champions, five world championship candidates and all players often rated among the world's Top Ten, it was one of the strongest world-class events in chess history. I wish I could say I was inspired by Fischer's performance in Santa Monica, but it was just a coincidence that history almost repeated itself. I finished last in the first half with a catastrophic score 1½/9 , but things improved in the second half. It was my career-best result in a single tournament. In this century, Veselin Topalov and Alexander Morozevich took it a notch further. They finished last in the first half, won the second half and even took first place in world-class double-round robins. From the above two crosstables it is clear that the winners not only finished ahead of the reigning world champions (Petrosian and Karpov), but followed the same pattern: they drew against the top finishers and won the rest of the games. It was a different story in the two tournaments mentioned by Kasparov. Harry Nelson Pillsbury won the 1895 Hastings tournament with 16½/21 points, ahead of Mikhail Chigorin 16/21 and Emanuel Lasker 15½/21. He lost to both of them, but beat the last four finishers. Nakamura played similarly in Wijk aan Zee, scoring minus one against the world's top four rated players. 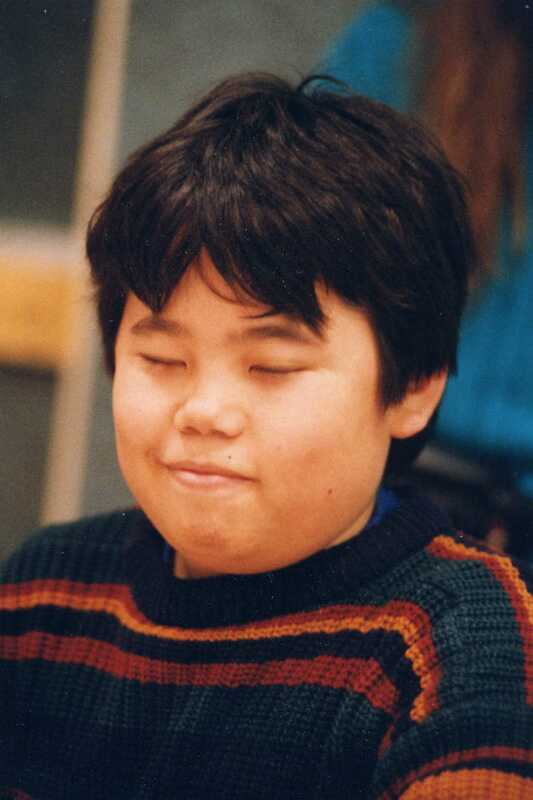 Hikaru Nakamura, pictured on Bill Hook's photo from the 1998 Eastern Open, showed excellent results at a young age and was considered the best American prodigy since Bobby Fischer. He became USCF master at 10 in 1998 and grandmaster at 15 in 2003. Too much was made of breaking Fischer's record as the youngest grandmaster in history. Hikaru surpassed it by three months. Bobby was 15 when he got the title, but at the same time he qualified for the Candidates tournament and that elevated him among the top 10 players in the world. Nobody came even close. Nakamura was able to move among the top 10 only this year, at age 23. Nakamura could be the fourth American after Fischer, Kamsky and me when the list is updated this year. Going deeper into chess history and rating events played before 1970 is difficult. The statisticians face all kinds of problems, ranging from missing important tournaments to having a wrong result in a single game. Rating the 1970 Caracas tournament illustrates the point. This is the correct crosstable created from the Mega database 2011, containing 4,797 495 games. The earlier version had one game result wrong, showing that I lost to Viktor Ciocaltea. Suddenly, instead of winning the tournament alone, I was sharing first place with Stein and Panno. The mistake was carried into the Chessmetrics - a website with a bold attempt to create historical ratings. It is managed by Jeff Sonas, an excellent statistician, who knows his work depends on available data. And he can't rate what is not there. For example, I did not find any of my team's results from the 1979 European Cup Championship, but it is available at the excellent Olimpbase, which covers history of the most important team competitions. There are tournaments that are lost forever, others that preserve the crosstables but not the games. 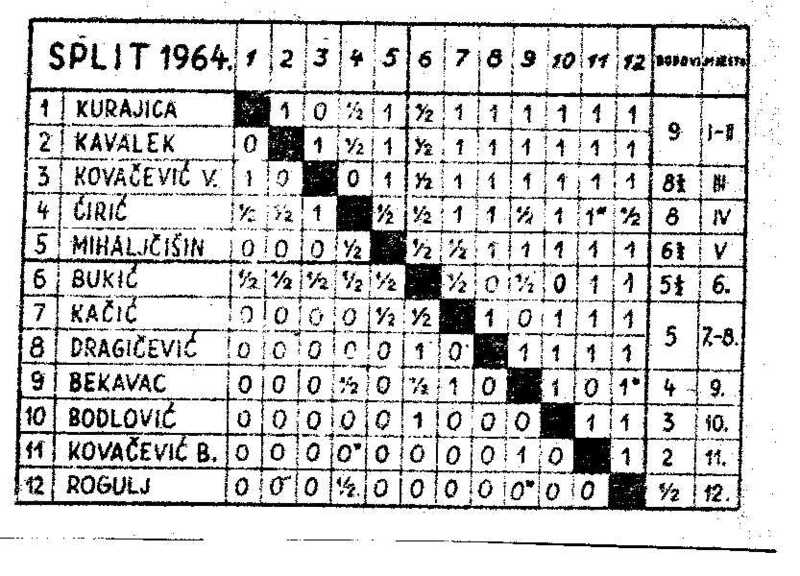 For example, the crosstable of the 1964 Split tournament was published in Jugoslavenski Sahovski Glasnik 10/1964, page 208. One year later, Bojan Kurajica won the World Junior championship. Vlado Kovacevic became known for his victory with the black pieces against Fischer in the 1970 Rovinj/Zagreb tournament. I doubt they have the scoresheets from the event in Split. The best way to tap into chess history is to use the monumental work of the Italian writer Gino di Felice. 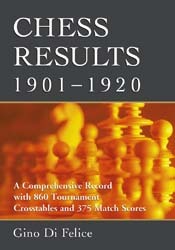 His nine-volume Chess Results, published by McFarland, cover individual and team chess competitions from 1747 to 1960. The majestic work, some 3700 pages long, contains crosstables and match scores found in contemporary newspapers, chess periodicals, tournament books and match records. It is the most comprehensive undertaking, eclipsing the famous Jeremy Gaige's four-volume work Chess Tournament Crosstables (1851-1930) . It is an indispensable tool to historians, statisticians, collectors, journalists and anyone who wants to browse through chess history. It will be great to see Di Felice complete another decade. During the research for the Chess Results, Di Felice discovered a gap in chess literature a decided to cover it. 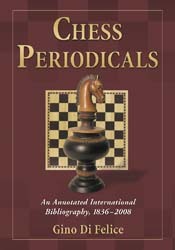 He wrote a remarkable book Chess Periodicals - An Annotated International Bibliography, 1836-2008. It is an important reference book with 3,163 entries, indexed by periodical titles and countries. The most periodicals were published in the United States, followed by Germany and the Netherlands. McFarland should be congratulated for bringing out these fascinating and useful publications.